Paul Dirac was one of the greatest theoretical physicists in history. He completely reshaped quantum mechanics with the astounding Dirac Equation. The Dirac Equation explained the behavior of electrons and foretold the existence of antimatter. Dirac was also able to infer the existence of vacuum polarization, revealing that what we once believed was empty space is actually awash with short-lived particle-antiparticle pairs. Dirac founded quantum electrodynamics, accounting for the creation and annihilation of photons of light within atoms, and his Lagrangian formulation of quantum mechanics led to Richard Feynman’s path integrals. Dirac showed that quantization of electric charge occurs naturally if a magnetic monopole exists somewhere in the universe. He also created a prototype string theory. Paul Adrien Maurice Dirac was born in the city of Bristol, England, UK on August 8, 1902. His father was Charles Dirac, a school teacher and private tutor who had emigrated from Switzerland to the UK. His mother was Florence Holten, a former librarian. She was named after Florence Nightingale, whom her father had met and admired. Although Paul was born in the UK and his mother was British, his father made sure his children were Swiss rather than British citizens. Paul only became a British citizen at age 17, on October 22, 1919, when his father also took citizenship. Paul had an unhappy childhood. His parents disliked one another and there was often tension in their home. Very early in life Paul noticed that his father spoke only French, while his mother spoke only English. Nobody ever visited their home and for a while Paul believed men and women spoke different languages! Paul’s father dined with Paul. His mother dined with Paul’s older brother Felix and younger sister Betty. Paul was his father’s unwilling companion: his father forced Paul to speak French, and Paul was not allowed to leave the table if he made any mistakes in that language, which invariably he did. Paul had a lifelong stomach acid problem, which was only correctly diagnosed when he was elderly. As a result of this problem he often vomited at the table because his father would not allow him to leave it. He learned to minimize his French language mistakes by minimizing the number of words he spoke. Paul ended up despising his tyrannical father and in later life refused to speak French anywhere. In fact, Paul grew to hardly speak at all. He withdrew into his own mind. He would never start conversations, and he became both famous and infamous for the brevity of his responses to anyone who tried to start a conversation with him. Paul’s first school was the Bishop Road Primary School. At age 12 he started high school – the Merchant Venturers’ Technical College, where his father taught French. Paul had a prodigious appetite for hard work, which he seems to have inherited from his father, and was top of nearly all his classes. In September 1918, aged 16, Paul Dirac began a degree course in electrical engineering at the University of Bristol. He graduated with first class honors in 1921. His mathematical talents were extraordinary, although his laboratory skills were less than stellar. After completing his engineering degree, Dirac hoped to study mathematics at the University of Cambridge, but the scholarship he was offered was inadequate. Instead, he continued free of charge at the University of Bristol, graduating at age 21 after two years of study with a first class honors degree in mathematics. One of the courses he took at Bristol was projective geometry. Just a few years later projective geometry helped him derive some of his most spectacular results in quantum mechanics. In 1923, aged 21, Dirac left his parents’ home for graduate school at Cambridge, where he researched general relativity and quantum mechanics. His doctoral advisor, Ralph Fowler, a mathematical physicist, introduced Dirac to the new atomic model of Niels Bohr. 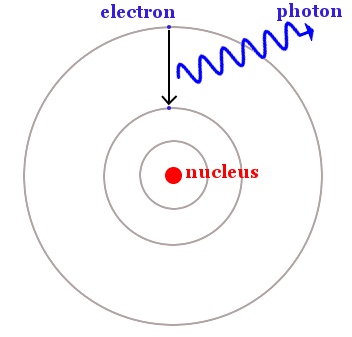 In Bohr’s model, electrons were restricted to defined circular orbits around the nucleus. 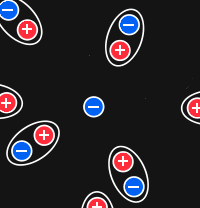 An electron could not have just any amount of energy. It could only have the specific energy defined by the orbit it occupied. If an electron dropped from a high energy orbit to a lower one, it released energy as light. Similarly when incoming light caused an electron to jump to a higher energy orbit, that light was absorbed by the atom. An electron falls from a higher energy orbit to a lower energy orbit. Energy is released as a photon of light. Dirac then learned about Arnold Sommerfeld’s work, which was in better agreement with experiments than Bohr’s theory. In the style of Johannes Kepler, Sommerfeld had replaced circular electron orbits with elliptical orbits. By the end of 1924, Dirac had completely mastered quantum theory as it then stood, but he was unhappy with its aesthetics. He had studied Einstein’s general theory of relativity, which struck him as mathematically beautiful, and he believed something equally beautiful was needed to replace Bohr’s theory. In September 1925, Fowler asked Dirac for his opinion about an unpublished paper he had received from a young physicist by the name of Werner Heisenberg. Heisenberg had imagined an electron restricted to moving back and forth in a line. The likelihood of the electron jumping to a higher energy level was represented not by one number, but an array of numbers – a matrix. Heisenberg’s matrices had a property he could not account for: if you changed the order in which they were multiplied, you got a different result. It’s a bit like finding that 5 x 4 is different from 4 x 5. In mathematical jargon, Heisenberg found his arrays of numbers did not commute. Also, where Bohr’s electron orbits had been easy to get a mental picture of, Heisenberg’s theory was purely mathematical; there was no prospect of visualization. Although the non-commuting, unvisualizable aspects were bothersome, Heisenberg’s exciting discovery was that his matrices offered a way of developing atomic theory from observed, experimental numbers. Heisenberg was unfamiliar with expressions that did not commute. Dirac, however, knew more mathematical methods than Heisenberg: he was an expert on the quaternions of William Rowan Hamilton, familiar with Grassmann algebra, and talented in projective geometry – all of which feature non-commuting quantities. About a month after reading Heisenberg’s paper, Dirac was pondering the AB ≠ BA question in quantum mechanics. He asked himself about the quantity AB minus BA. He recalled something called a Poisson bracket. This was his key to unlocking a deeper meaning from Heisenberg’s work. By early November, working almost around the clock, Dirac had written a paper which he entitled The Fundamental Equations of Quantum Mechanics. Taking an entirely different approach to Heisenberg’s, Dirac presented quantum mechanics in a way that made clear its links with Isaac Newton’s classical mechanics. As a matter of courtesy, he sent a copy of his paper to Werner Heisenberg. It took only three weeks for Dirac’s paper to be published by the Royal Society. Werner Heisenberg and his boss Max Born at the University of Göttingen in Germany were amazed by Dirac’s paper. Heisenberg quickly wrote back to Dirac, explaining that some of Dirac’s results had already been achieved at Göttingen, but less elegantly than in Dirac’s paper, and he asked Dirac some technical questions. Heisenberg and Dirac became lifelong friends. Dirac was now recognized as a major player. He had not completed his doctorate, but was now lecturing other Cambridge students and professors on the latest developments in quantum mechanics. Working on his own, he competed with teams of brilliant scientists at Göttingen in Germany and at Niels Bohr’s Institute in Denmark. An Ugly Dispute and a Ph.D.
And then Erwin Schrödinger entered the scene with an alternative view of quantum mechanics – wave mechanics. Not only did his results match experiments, they allowed scientists to get some degree of visualization again, although less than had been offered by Bohr’s obsolete theory. Heisenberg thought Schrödinger’s visualization was aesthetically ‘disgusting.’ Schrödinger was contemptuous of Heisenberg’s unvisualizable theory. The pair heartily disliked one another. Dirac wrote up his thesis and got his Ph.D. in June 1926, aged 23. Dirac believed that the language of quantum mechanics was not English. Neither was it German or Danish. The only language capable of explaining quantum mechanics was mathematics. Word explanations of quantum behavior were bound to fail, or at best be poor approximations. With his doctorate complete, Dirac left Cambridge at the start of 1927 to spend time working at the world’s centers of quantum mechanics – Copenhagen and Göttingen. Quantum electrodynamics – often abbreviated to QED – describes the quantum interaction of light and matter. 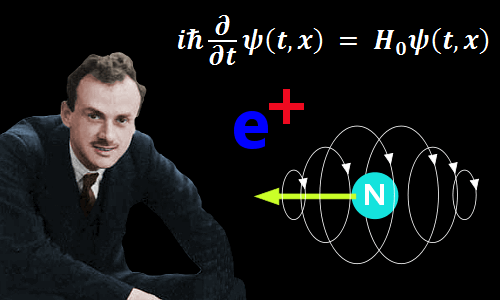 Dirac launched QED with his 1927 paper The Quantum Theory of the Emission and Absorption of Radiation. His new theory unified the previously separate phenomena of the light-wave and the light-quantum. It was the first theory that dealt successfully with the fact that when an atom absorbs a photon, the light disappears from the universe; and when an atom releases light, a photon appears in the universe. No theory before had accounted for the creation and annihilation of quantum objects such as photons. Dirac pictured a universe in which atoms contain an infinite supply of zero-energy photons available for release as real photons if energy is supplied to them. Back in Cambridge, in October 1927, Dirac focused hard on electron behavior. Heisenberg and Schrödinger’s quantum mechanics worked perfectly well for slow moving electrons, but failed for electrons traveling at substantial fractions of the speed of light. Dirac now sought to combine quantum mechanics with Einstein’s special theory of relativity to create an all-encompassing theory of electrons. He began with Schrödinger’s wave equation. For weeks he played with equations and matrices and relativity, treating time as a quantum variable. Gradually he coaxed the murky, hazy quantum world to reveal a mathematical description of the electron. By the beginning of December, Dirac had created an equation of great beauty and great power – the fundamental wave equation of the relativistic theory of the electron – the Dirac Equation. The Dirac Equation. The insights into the behavior of matter Dirac conveyed with a few mathematical symbols are remarkable. The mathematical symbols of Dirac’s equation created the electron. 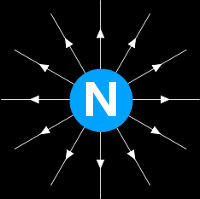 The spin and magnetic field of the electron arose naturally from the equation. In early February 1928, Dirac’s paper The Quantum Theory of the Electron was published by the Royal Society. Physicists all over the world looked at in amazement and admiration. Dirac’s The Quantum Theory of the Electron is widely regarded as one of the greatest physics papers ever written. In May 1931, with other options exhausted, Dirac foretold the existence of antimatter. His paper was published in September 1931. In 1932, Carl Anderson at the California Institute of Technology discovered Dirac’s positively charged electron in cloud chamber experiments. Dirac’s anti-electron is now called the positron. And so a bizarre particle first seen in the mathematical symbols of Dirac’s equation turned out to be a real particle – a particle so real that today it is utilized in hospitals to detect cancers through positron emission tomography. In 1930, Dirac completed his book: The Principles of Quantum Mechanics. For students of the subject, it became the essential work. Even Albert Einstein would cry out, “Where’s my Dirac?” if he had a quantum problem. In 1932, aged 30, Dirac was appointed to Cambridge’s Lucasian Chair of Mathematics, once held by Isaac Newton. Early in 1931, Dirac produced a startling new theory. He began by asking: why is electric charge quantized? In other words, why is electric charge always packaged in quantities equal to integer multiples of the charge found on the electron and the proton? A solitary north magnetic pole with magnetic field lines. His equations gave him a reason – they said electric charge is quantized because one or more magnetic monopoles exist somewhere in the universe. However, never in history had a magnetic pole been seen in isolation. North poles were always accompanied by south poles and vice versa. Furthermore, magnetic monopoles would violate Gauss’s law for magnetism, ∇.B = 0, one of Maxwell’s equations. The fact that a magnetic monopole had never been seen was one of the main reasons that in 1980 Alan Guth proposed the universe had gone through a short period of inflation. Inflation explained the lack of monopoles, while standard big bang theory until then had predicted them. Magnetic monopoles have still not been seen, but the universe is a big place for the solitary monopole needed to explain charge quantization to hide! The 7th Solvay Conference of 1933 brought together the world’s greatest physicists and chemists. Dirac told his audience they needed to change their conception of the vacuum: it could no longer be considered as empty. The vacuum was actually awash with particle-antiparticle pairs being created and annihilated too quickly to be detected directly. In 1932, Dirac published The Lagrangian in Quantum Mechanics in the obscure journal Physikalische Zeitschrift der Sowjetunion. Until then, quantum mechanics had been developed using the Hamiltonian theory of classical dynamics. Dirac, however, believed the Lagrangian theory was a more fundamental approach. He made good progress, showing how the Lagrangian formulation of an electron’s wave function could be carried forward in time infinitesimally. In 1941, Richard Feynman read Dirac’s paper and extended the formulation over longer times using what he called his ‘sum over histories’ approach. He produced a multiple integral – the path integral – and hence Feynman diagrams. Dirac founded quantum electrodynamics in 1927, but by the 1940s, QED was in crisis. Carrying out successive QED calculations, hoping for an ever more accurate answer, led to the opposite – terms in equations would diverge and become infinite. In 1947, Willis Lamb carried out an experiment on hydrogen gas and discovered the Lamb Shift. The Lamb Shift showed there was an electron energy level in hydrogen not predicted by any quantum theories, including the Dirac Equation. Positron-electron pairs appear briefly. They interact with an electron in hydrogen. This is vacuum polarization. The aligned positron-electron pairs screen hydrogen’s electron and nucleus slightly from their mutual electrostatic attraction, allowing the electron to occupy a different energy level. The cause of this new energy level turned out to be the short-lived particles in the vacuum Dirac announced at the Solvay Conference in 1933. The particles appeared out of nowhere and briefly interacted with electrons in atoms before disappearing again. Scientists were discovering the quantum world is a world where truth really is stranger than fiction! The Lamb Shift was the clue Hans Bethe needed. He came up with a technique called renormalization. Renormalization allowed the meaningless infinite quantities appearing in QED calculations to be separated from the meaningful quantities. Renormalization produced excellent agreement between theory and experimental results. Dirac never accepted renormalization, considering it to be an ugly but convenient trick that hid a deeper understanding of physics. Despite Dirac’s and indeed Richard Feynman’s reservations, renormalization continues to play an important role in modern physics. Dirac’s gauge-invariant theory achieved the goals he set it, but never became popular. String theory, in which particles are represented as one-dimensional strings, was reborn in the 1960s and 1970s, although in a different form to Dirac’s original conception. Dirac’s commitment to work faltered when, aged 32, he took sabbatical leave from Cambridge to work at the Institute for Advanced Study in Princeton, New Jersey in 1934. There he often spent afternoons in the common rooms playing board games. He also met physicist Eugene Wigner’s sister Margit Wigner, whom he married in 1937. Margit had a son and daughter from her previous marriage, and Dirac became their stepfather. Dirac and Margit had two daughters of their own: Monica and Mary. Dirac hated publicity. He reluctantly accepted the Nobel Prize after being told by Ernest Rutherford that refusing it would create more publicity than accepting it. Nevertheless, he turned down most honors including the knighthood offered to him in 1953. Dirac enjoyed walking, climbing, and reading – particularly murder mysteries by Agatha Christie, children’s comics, and Sherlock Holmes stories – The Hound of the Baskervilles was published in the same year as Dirac was born. Dirac was an excellent chess player, and could play several other enthusiasts simultaneously. In 1969, aged 67, he retired from his Lucasian Chair at Cambridge and moved to Florida, USA, where he carried out research at the University of Miami and Florida State University. He vacationed in Cambridge most years to avoid the worst of Florida’s summertime heat. Paul Dirac died aged 82 in Tallahassee, Florida, on October 20, 1984. He was buried at Tallahassee’s Roselawn Cemetery. His wife Margit was buried alongside him after her death in 2002. "Paul Dirac." Famous Scientists. famousscientists.org. 8 Sep. 2016. Web. Very nicely presented read. Thanks. Thank you. I’m glad it was useful for you.